A leaky or clogged pipe might be easy to ignore at first, but if left unfixed it could cause serious problems. When left unfixed, a leaky or clogged pipe can cause severe water damage and even damage nearby plumbing fixtures or pipes. If you suspect a pipe in your home is leaking or clogged, don’t let it become a serious problem. Call in the experts and let them fix it. 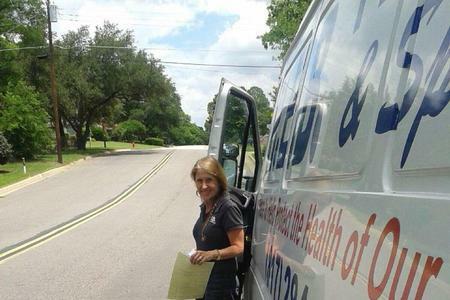 For those that live in the Bedford, TX area, call HEB Plumbing & Sprinkler-Kathlyn Smith. HEB Plumbing & Sprinkler is a local plumbing company that prides itself on providing quality service to residents and businesses located in Bedford, TX, NE Tarrant County, and Arlington, TX. All it takes is a single call to our office and we will promptly respond to your home or business to fix your leaky or clogged pipe. 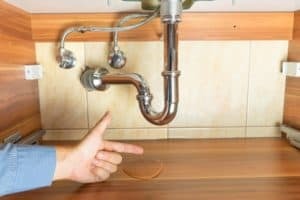 Due to pipes being located behind walls or under homes, it can be difficult to determine when you may be experiencing a leaky or clogged pipe. Luckily, there are warning signs that often indicate a pipe is clogged or starting to leak. While you could try to fix a leaky or clogged pipe on your own, it is not recommended. Many times you can cause extensive damage to the pipes or plumbing system, which could be costly to fix. It is best to let a professional handle a clogged or leaky pipe. In the event you think that you have a clogged or leaky pipe, call a professional plumber at HEB Plumbing & Sprinkler. Our experienced plumbers will be able to assess the situation, determine if a leak or clog is present, and provide you with recommendations on how to fix the problem. Call HEB Plumbing & Sprinkler and we will respond promptly to your request for help with a clogged or leaky pipe.